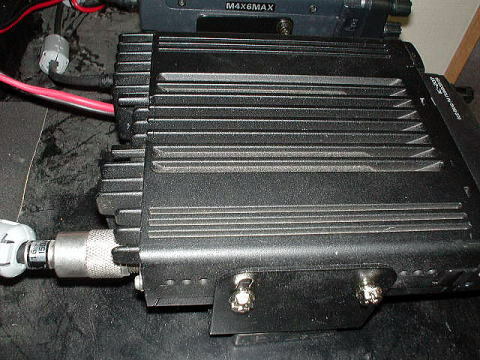 This is the IC-207 which is used for APRS Digipeather with TNC PK-88j at 20W max output. 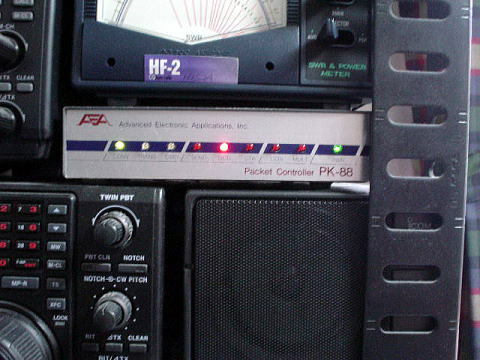 This tranciever is connected to AEA PK-88j TNC's radio control terminal. 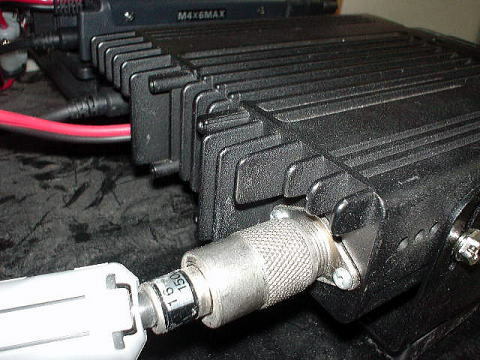 This rig had been used in my car. This is TNC AEA PK-88j for UI decoder/encoder controlled by aprsdigi , xastir software in Linux box. 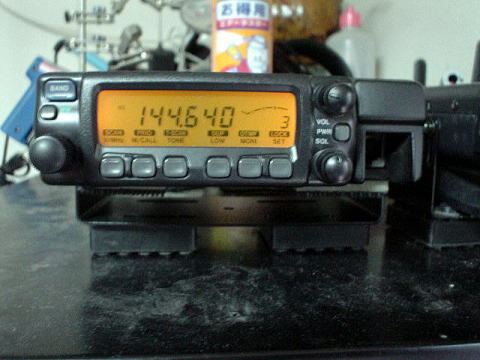 The TNC was broken, but I repair to work fine. Quite good now. Top view. This rig has no fan. So it is little bit warm. The rear view. You can see no fan and data connector connected to TNC. 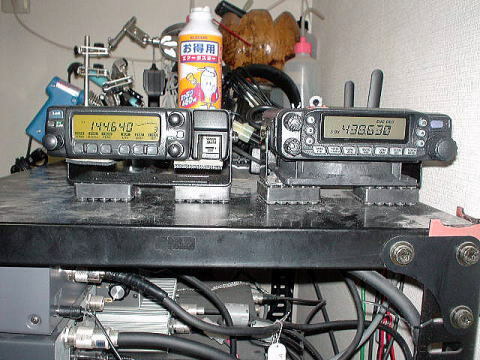 These are IC-207 and FT-7800 placed on the rack. These rigs are controlled by machines so I usually don't touch.